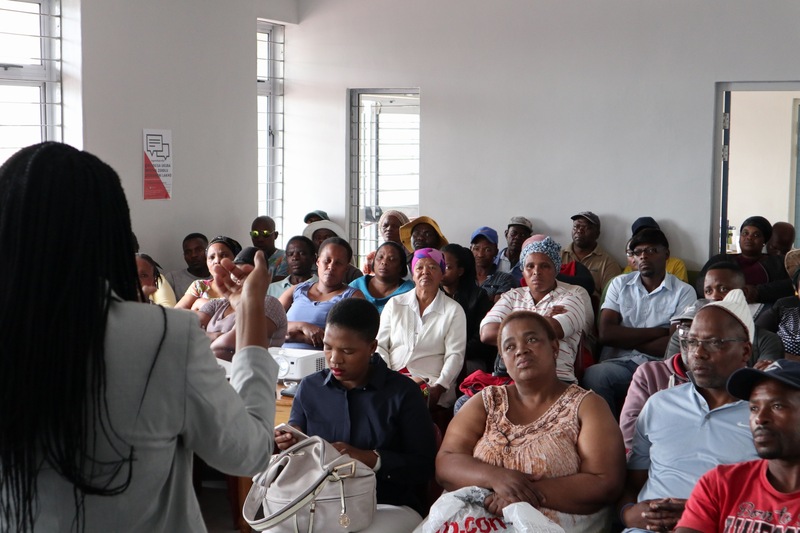 On Saturday 3 November the Transaction Support Centre (TSC) hosted a community day in Khayelitsha aimed at individuals interested in buying or selling property. The objective of the day was twofold, firstly to create awareness for the TSC and the services offered by the centre and secondly, to provide an opportunity for the community to hear and learn from key stakeholders in the property transaction process. Four speakers presented to 70+ community members. 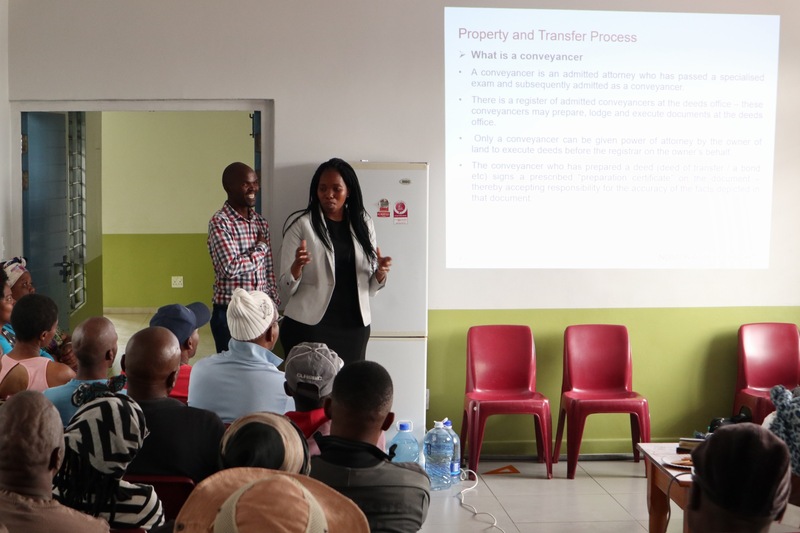 Sanelisiwe Ncgobo from Norton Rose Fulbright provided an overview of the role of conveyancing, the formal transfer process, and the risks of buying / selling property informally. Phumzile Makhosana, a local real estate agent and managing director of Linomtha Properties, presented on the role and function of real estate agents and the risks of using informal agents, while Khangelani Ndesi from FNB provided an overview of mortgage loans and the FLISP subsidy. The final speaker, Mseki Mavimbela, a senior financial consultant from IDM spoke about credit, managing debt levels and the role of debt councillors. Following each presentation, attendees were given a chance to ask the speakers’ questions. Many of the questions, specifically with respect to title deeds, related to issues that the TSC are currently dealing with, with several clients. These issues include administrative and intestate issues such as a wife wanting to transfer a property into her name after her husband passed away or a property owner wanting to gain title to a property he/she bought informally. Issues of this nature make up the majority of the cases lodged at the TSC. 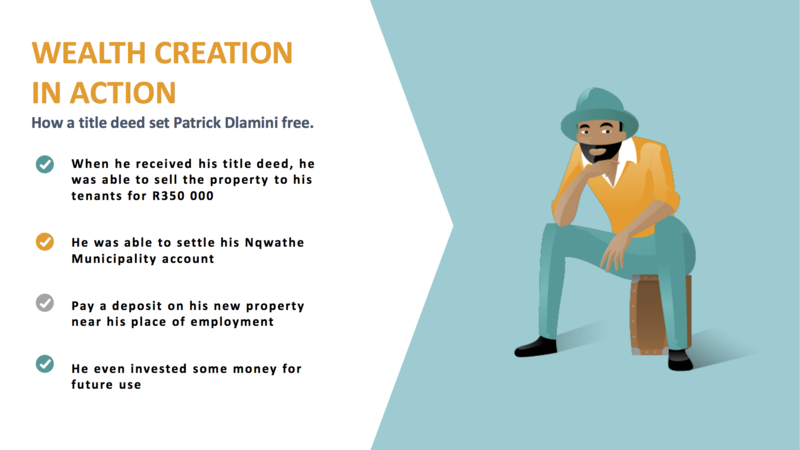 Another question related to title deeds involved a parent wanting to transfer a property to a child before he/she passes away. This too is an issue we have already seen at the TSC and it is an interesting one since it highlights the limited understanding of the importance and function of a will. As a solution to this, the TSC have drafted a simple and easy to understand will template that is provided to clients who own property but do not have an existing will. 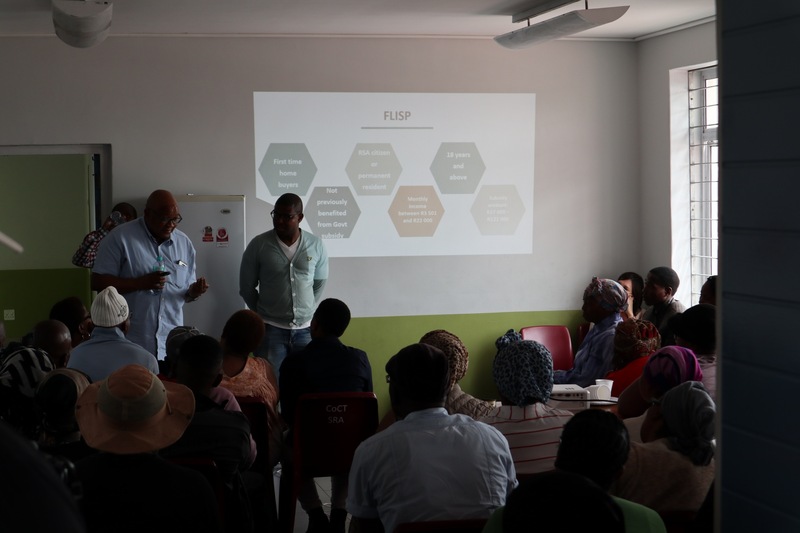 Aside from title deed issues, attendees raised several questions related to the FLISP including how to apply for a FLISP in a personal capacity if married in community of property and if it is possible for family members to submit a joint application for a FLISP. Others asked for advice on what to do if they have a mortgage loan but lose their job and cannot afford their monthly instalments. 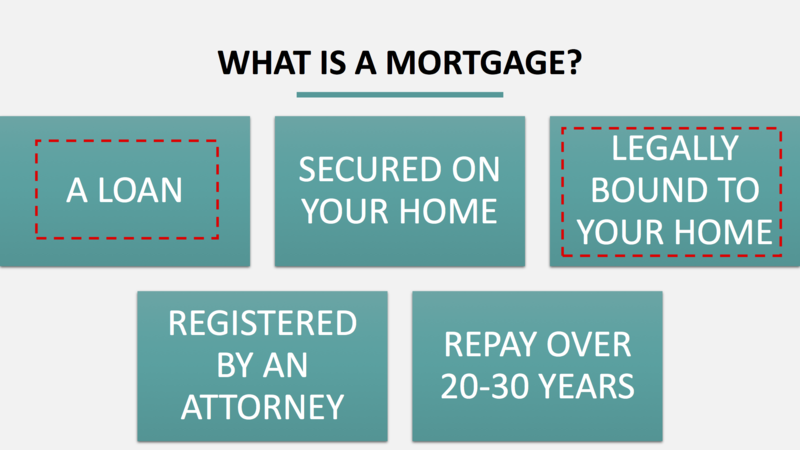 This last question highlights the real risk that many people in the target market for affordable housing may face and the importance of adequate insurance that can cover the borrower and lender in the event of a job loss. Perhaps two of the most pertinent questions of the day were “where do you report unregistered real estate agents?” and “what is the role of the street committee in the transfer process?”. While the first question yielded a straight forward response – “you can report them to the Estate Agents Affairs Board”, the second question was slightly more complicated to answer. While the speakers made it very clear that street committees do not form part of the formal property transaction process, there was some recognition that street committees have a role to play in validating informal property transactions when trying to regularise a cash sale. Measured purely by the engagement by the community during the session, the TSC community day was a resounding success. Most notably, the event highlighted the need and demand for accessible education and information regarding formal property transactions and the desire of the community to learn how to do things ‘the right way’.